Michigan Gov. Rick Snyder delivers his State of the State in House of Representatives Chamber at the State Capitol in Lansing on Tuesday, January 23, 2018. Will Snyder enable lame-duck Legislature's 11th-hour smash-and grab? There are 130-plus bills queued up for action in the three- to four-week lame duck session. With just one month left in their party's exclusive eight-year lease on Michigan government, Republican legislators are poised to leave gaping exit wounds in the state's environmental safety net before a new Democratic governor takes office in January. And if term-limited GOP incumbents can shiv public school teachers, gut laws designed to protect working parents, and hamstring incoming Democratic elected officials like Gov.-elect Gretchen Whitmer and state Attorney General Dana Nessel on their way out — well, that's just icing on the cake. • Strip or dilute the constitutional and statutory authority of the state attorney general and secretary of state. Whether the Republicans' ambitious lame-duck plans succeed will depend on the cooperation of outgoing Gov. Rick Snyder, who must decide whether he wishes to be remembered as the conservative accountant who brought order to Michigan's fiscal house or the GOP apparatchik who enabled his party's 11th-hour smash-and-grab. Snyder has already endorsed the short-sighted plan to replace Line 5, the 65-year-old conduit that carries millions of barrels of oil through the world's largest fresh water supply, and encase the new pipeline in a concrete tunnel under the Mackinac Straits. Senate Bill 1197, which could come to a vote in the full Senate as early as next week, would vest oversight of the new tunnel's construction and maintenance in a skeptical Mackinac Bridge Authority. The authority's chairman is among the plan's numerous critics vocal critics. Snyder believes signing SB 1197 would preempt Whitmer's oft-repeated intention to close Line 5 permanently. But the bill it would also require Enbridge, which owns and operates Line 5, to keep the aging pipeline up and running until a replacement becomes operational in about seven years. Any rupture in the interim could precipitate a Republican-made environmental catastrophe dwarfing the Flint water crisis. He's also likely to sign SB 1171 and SB 1175, which gut the minimum wage hike and sick leave provisions the Legislature adopted before the Nov. 6 election. OK — so nobody with half a brain believed a governor and legislative majority bankrolled by the Michigan Chamber of Commerce really supported raising wages or mandating sick time for low-wage employees. The passage of voter-initiated legislation that would have done both was transparently designed to head off a ballot initiative — one whose passage would have been immune from amendment without a three-fourths majority in both houses. Even so, most Democrats were stunned by the extent to which the amendments adopted by the Senate during the first week of its lame-duck session ignored the intent of those who sought to put a higher minimum wage and better sick time provisions on the November ballot. As amended by the Senate, the new legislation would postpone the $12 minimum wage the voter initiative proposed until 2030 -- about the same time it would have reached that level with cost-of-living adjustments mandated under the existing minimum wage law. The amended sick time law, similarly, makes it harder to earn sick time and caps the maximum number of sick days at half the level mandated under the voter initiated bill. Passing the amended bills as they are would be a parting shot from a governor and Republican legislature leaders who have spent the last eight years rigging the labor market in favor of employers and business owners. But there is reason to hope Snyder's sense of decency may yet compel him to reject some of the more outrageous schemes his party's lawmakers are cooking up. Colluding in Sen. Tom Casperson's (R-Escanaba) proposal to exempt about half-a-million acres of wetlands from state regulation would put one of the state's most critical natural resources — and a vital weapon to slow the proliferation of climate-warming greenhouse gases — at mortal risk. And conspiring in partisan efforts to intrude on state Attorney General Dana Nessel's constitutional authority to represent the state in legal disputes, or to usurp the oversight authority the anti-gerrymandering Proposal 3 explicitly vests in incoming Secretary of State Jocelyn Benson, would be an insult to the voters who elected both of them. 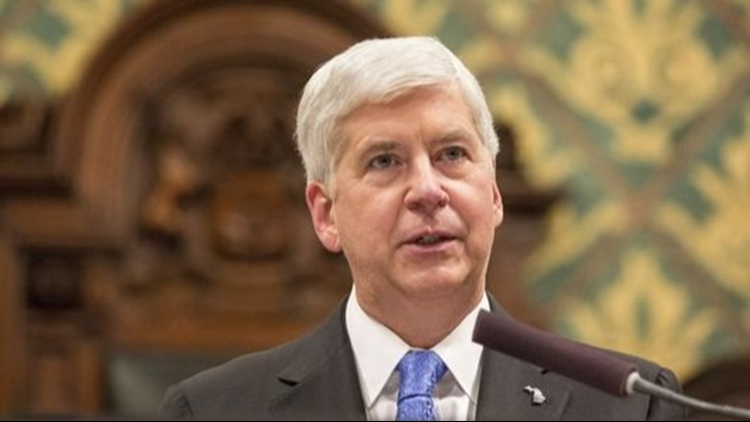 Either measure would be a stain on Snyder's mostly statesmanlike tenure if it became law. There's no telling what Snyder might acquiesce in to secure his own, more sensible priorities for lame-duck, including more money for infrastructure repair and the state's rainy-day fund. But his legacy, like any parent's, depends on his resolve to remain a grown-up, even when his party's outgoing lawmakers are behaving like spoiled children.